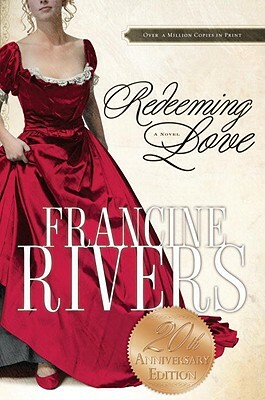 Redeeming Love is a fictitious retelling of the biblical story of Hosea and Gomer, set in 1850s California gold country. Sarah was sold into prostitution at a very young age, and is given the “working” name Angel. Over time, her heart has hardened, and she is very good at her job. Then she meets Michael Hosea, a godly man who truly loves her and insists on marrying her. Analogizing both the Prophet Hosea, and the Father God himself, Michael demonstrates again and again that he will never stop loving, forgiving or pursuing his beloved wife. I first read Redeeming Love immediately after becoming a Christian. At that point I had a negative view of Christian literature in general, and did not expect to enjoy this narrative; however, it instantly became my new favorite book. Reading it again today, this story still captures my heart. It is one of the few books that I could read again and again, and is still amongst my very favorite books of all time. The depth of the characters is incredible. It does not matter that readers familiar with the biblical story may anticipate the movement of the narrative, because the story itself tugs on the heart and brings its own suspense. I do not think there is any novel that better expresses God’s deep unconditional love and investment in each one of us. This 20th Anniversary Edition includes a Reader’s Group Guide; and while I cannot recognize if any significant changes or additions have occurred from former publications (I have long since passed forward my previous copy), it is so exciting to celebrate the anniversary of this truly life-changing book.